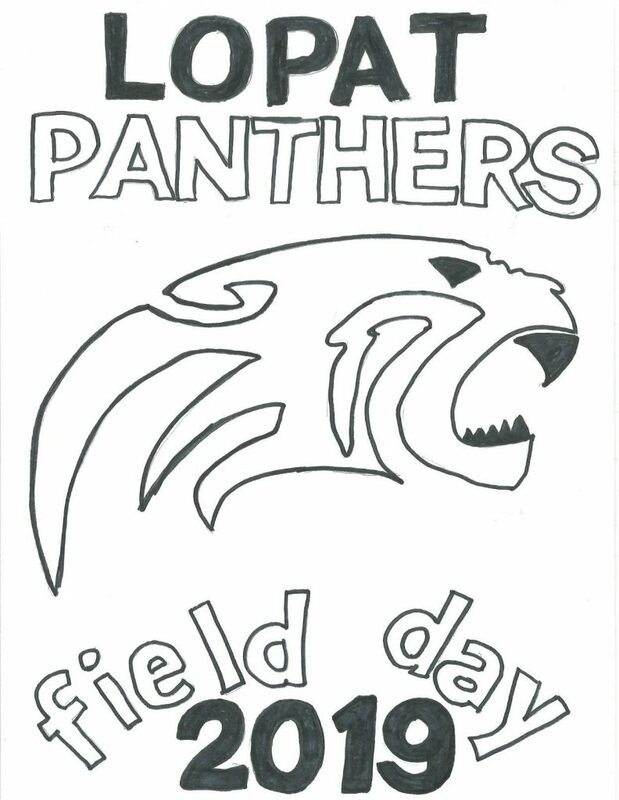 Order Your Lopat Elementary Field Day T-Shirt Today! Every year in June, students in preschool through fourth grade participate in Field Day. On Field Day, students participate in a variety of fitness stations created by the gym teachers. Each grade level is assigned a different color to wear. It is a fun day for all! In November, we had a Kid’s Vote to choose a design for our 2019 field day t-shirts. The winning logo, pictured above, was designed by Owen S.
Students can order a t-shirt with the logo pictured above to wear in their assigned color or they can wear a different t-shirt in their assigned color on Field Day. Students are NOT required to purchase or wear the Field Day T-shirt. This is a fundraiser for supplies and equipment for our school!